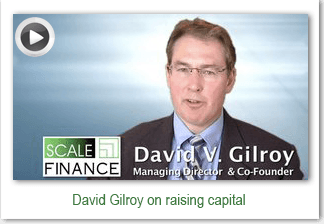 Scale Finance offers unique core competencies in helping companies raise institutional growth capital in the form of working capital facilities, asset-based loans, term loans, subordinate debt, growth equity, or venture capital. We focus on $1 – $25 million financings of growth companies and leverage close and often personal relationships within the specialty finance, commercial lending, mezzanine, private equity, and venture capital communities. “Right-costing”—retainer tied to scope; largely success-based fees. Free initial consultations—allow us to provide a confidential, professional perspective on your company’s situation.